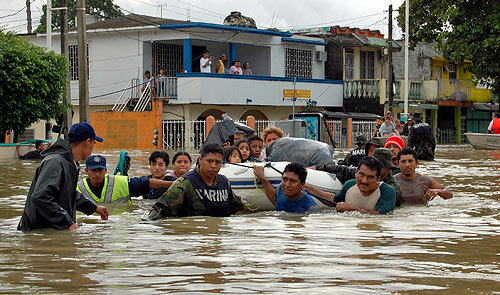 Mexico is no stranger to natural disasters. Earthquakes, hurricanes, flooding, and active volcanoes have all wreaked havoc on this beautiful country. Mexico is a beautiful country, but we are always sitting on the brink of destruction. The country has thousands of miles of coastline, so of course we get at least one strong hurricane a year. Mexico is also home to several active volcanoes and there are earthquakes almost everyday. You get the picture. Fortunately, the Mexican people know exactly what to do in the event of a natural disaster, but that’s something we have learned the hard way. I have compiled a list of some of the worst natural disasters in Mexico in recent memory. I have to warn you, it’s terrifying! This was possibly the deadliest natural disaster ever. On September 19, 1985, the earth shook and Mexico changed forever. The quake measured 8.1 on the Richter scale and lasted an entire two minutes. It struck at 7:19 in the morning, so it caught the population at unawares. Hundreds of buildings collapsed after the first minute, and thousands of people were buried in the rubble. Many of those were office and apartment buildings, so to this day the total number of casualties is unknown- 10,000? 40,000? 100,000? Who knows? In the aftermath, the government was unable to cope with the emergency and people had to dig their loved ones out of the rubble with their own bare hands. There were so many bodies, the baseball stadium overflowed with them. It was a nightmare scenario. The consequences of the earthquake were enormous. It weakened the ruling political party’s grip on power, which had remained unchallenged for decades. It gave the people a sense of power in the face of tragedy. But it also spawned safety and prevention codes, which had not existed before. And it bred a generation of civilian heroes, like the Topos Rescue Brigade, which has rushed to aid the victims of every major earthquake in the world since then. The 1985 earthquake still fuels collective nightmares, and it is still remembered vividly by the city’s residents. Every year, on the anniversary of the quake, the Mexican flag is flown at half-mast, the President observes a minute of silence for the victims, and all the schools and offices carry out a massive earthquake drill. We all know another big one could strike at any moment! 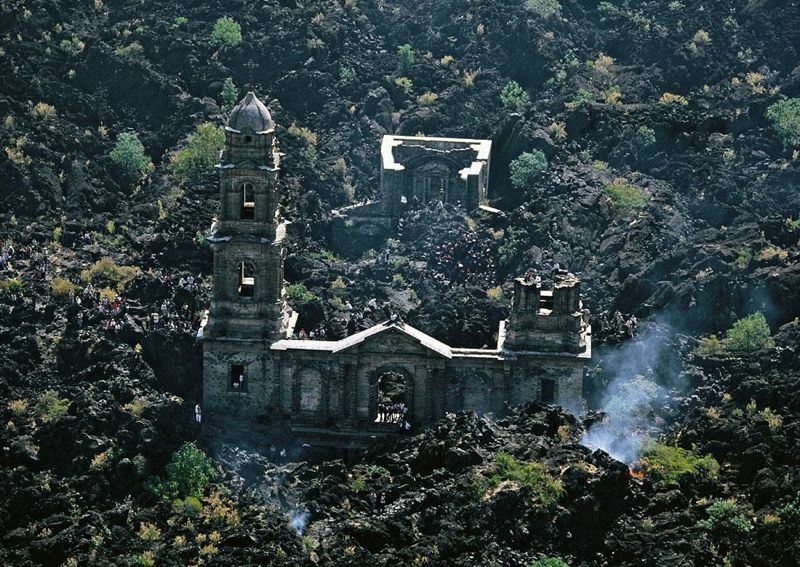 Paricutin was a small, quiet, ordinary village in the province of Michoacan when disaster struck. On February 20, 1943, a humble farmer was working his field when suddenly the ground shook, the earth opened, and there was an explosion of rocks and gas. Just like that, out of the blue, a new volcano was born! Over the next weeks and months, the volcano pushed its way out of the earth, spewing rocks, hot gas, and lava. This phenomenon was so unique, scientists from all over the world flocked to the village of Paricutin to watch the birth of the volcano. However, the local people were forced to leave their homes and fields behind when the lava flow targeted their village. The lava swallowed two entire towns and a thousand people died. Only the church tower was saved from the destruction. The Paricutin volcano is the youngest in the world. It is still active and growing. The ground around it is hot, steamy and covered with sulphur deposits. The destroyed town was completely rebuilt several miles from its original location, and nowadays, you can visit it and then take a hike to the base of the volcano. Doesn’t that sound like an adventure? The Chichonal volcano, in the southern province of Chiapas, erupted on March 28, 1982, in the middle of the night. The explosion was so violent, it blew the top off the mountain and covered the entire southeast of the country in a layer of ashes. It blew ten times more ashes and gas than Mount St. Helens, and the cloud traveled across the globe, lowering the world’s temperatures for the next two years. For the locals, it was the end of the world. The volcano blew a Pliny eruption, with pyroclastic flows of lava and gas. It killed thousands of people and displaced many more, most of them members of local indigenous tribes. To this day, the exact number of victims remains unknown. Now, more than 30 years after the explosion, the volcano is quiet and the area is a lush forest once again. Mexicans have an amazing capacity for rebuilding, almost as much as nature! In case you didn’t know, Tabasco is not only a kind of hot sauce but also a province in southeastern Mexico. In October 2007, Tabasco was hit by several consecutive storms and torrential rains overflowed all the major rivers. The water level rose so high, that one of the country’s largest dams came to the brink of bursting. The heavy rains, along with the downloading of the dam, flooded almost the entire province. The capital of Tabasco, Villahermosa, is a city built on top of a swamp and protected by levees, which were unable to stop the flood. On October 27, almost the entire city went underwater, and more than a million people were displaced. The entire province was practically cut off from the world, as highways collapsed and the lack of landing spaces made air lifts almost impossible. Worse, the ground all over Tabasco was so soaked in water, that entire hills turned to mud. In fact, a whole town was buried in a massive landslide. In November, it finally stopped raining, but the face of Tabasco was not the same. Rivers had changed course, towns had disappeared, and many people had lost their homes and their lives. This was one of the costliest disasters in Mexican history. Today, Tabasco province and the city of Villahermosa are all back to business as usual. The town that was buried in a landslide was rebuilt on higher ground and is the first sustainable rural community in the country. Amazing, right? 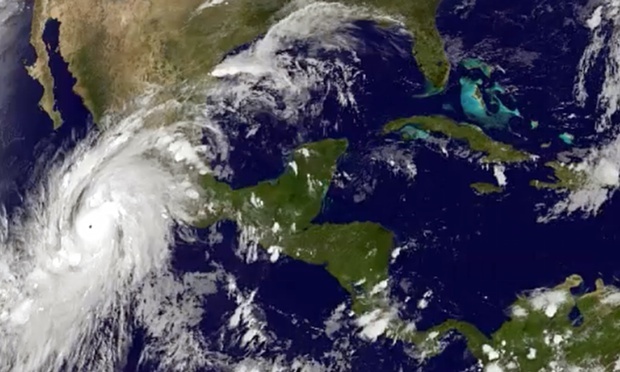 Over the course of the years, Mexico has known quite a few destructive hurricanes: Gilbert in 1988, Pauline in 1997, Wilma in 2005, and Patricia in 2015, just to name a few. However, the deadliest one happened in 1959. It became the deadliest eastern Pacific tropical storm on record. On October 29, 1959, the monster hurricane made landfall near Manzanillo at category 5. People were caught unprepared because back then, hardly any safety measures were normally taken. The effects were catastrophic! About 1,800 people died, 150 fishing vessels sank, and a quarter of all homes were destroyed. Roads also collapsed, isolating many towns and cities, and field crops and plantations were blown away. There were mudslides, which buried many victims and homes, and also uncovered thousand of venomous snakes and scorpions. It was hell on earth. With time, the region recovered and is now home to some of Mexico’s most important tourist resorts. In 2015, that very same region suffered a blow by another category 5 hurricane. But the good news is that things were different this time. People and local governments were prepared. Those in vulnerable spots were evacuated, and the army, the navy, the federal police, and the local governments all took emergency measures. No one was caught unprepared this time! That doesn’t mean Hurrican Patricia was harmless. It destroyed homes, schools, fields, plantations, and stretches of road. Fortunately, nowadays the area was rebuilt is now bustling with tourists once again. In 2017, the month of September turned deadly for thousands of Mexican families. On September 7th, an earthquake measuring 8.1 on the Richter scale hit the southeastern provinces of Chiapas and Oaxaca in the middle of the night. These provinces are two of the most beautiful places in Mexico, covered with lush forests and fertile mountains. But they are also plagued by chronic poverty. The massive earthquake affected hundreds of small towns and villages, toppling humble homes, collapsing schools, and isolating remote communities. The city of Juchitan, in Oaxaca province, was particularly hard hit by the quake. Dozens of people were crushed to death when their homes collapsed. Sadly, the people of Oaxaca and Chiapas simply didn’t have the resources to deal with this catastrophe. Mexican citizens volunteered to gather tons of aid and supplies to be delivered. Rescue teams from all over the country and abroad rushed to help earthquake victims buried in the rubble. Just as the country was wondering how to deal with the massive reconstruction needed in Oaxaca and Chiapas, disaster struck again. On September 19th, on the anniversary of the 1985 quake, another earthquake hit Mexico City and the surrounding provinces. It struck at 1:14 pm and measured 7.1 on the Richter scale. The quake toppled buildings all over the city. Hundreds of people were crushed to death, including dozens of children who died when their elementary school collapsed on top of them. In light of this tragedy, thousands of ordinary citizens rushed out to help the earthquake victims, just like they did 32 years before. People began digging in the rubble with whatever they could find, and were soon joined by soldiers, police officers, firefighters, and rescue brigades. 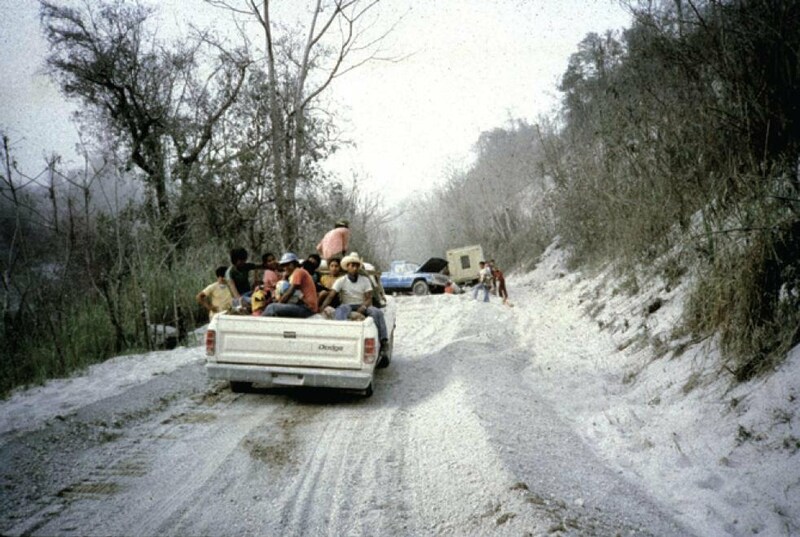 The nearby provinces of Puebla and Morelos were also severely affected. Hundreds of houses and buildings in small towns and cities collapsed and countless families were left homeless. Together, these two twin earthquakes have caused enormous damage and loss, and combined with the damages from hurricanes Lidia and Katia, it’s very likely this will become the worst humanitarian crisis in Mexican history. Will Mexico be able to bounce back this time? I believe it will. Mexico is a strong country, with brave and resourceful people. I am sure we’ll pull through any disaster that destiny throws our way. We just need a little help from our friends. Have you ever lived through a natural disaster? Tell me about it! This is heartbreaking! I never realized all of the other disasters. Praying for everyone during this hurricane! Thank you for your prayers, but so far there are no victims and the hurricane has downgraded to a storm. Mexico 1 Patricia 0! Thank you for this post. It was really informative. Wow I had no idea all this happened in Mexico :(. It is very scary. It was scary but we have rebuilt everything and then some, so it has all turned out for the better. Hi Fabiola,great post! My mother-in-law still talks about the earthquake of 1985, it has left its mark in many ways. I had heard of the Chichonal volcano eruption, but was unaware of the others. Mexico is such a beautiful country and it has endured many travesties. Thanks so much for sharing! I understand how your mother-in-law still talks about that earthquake! I guess no one who lived through it will ever forget. Thanks for stopping by! Love this blog! I count myself fortunate to live in a country which doesn’t suffer from natural disasters and I pity those poor people who lose everything when one strikes. Really? You don’t get natural disasters in Scotland? Wow, that’s amazing. In contrast, this summer, we’re expecting a couple of big hurricanes to strike the Mexican coast. In the Eastern States we tend to get rain, and the Weather Channel tends to report that our rain is “the edge” of a hurricane on the coast or tornado in the Central States. Last night I read about Hurricane Earl; this morning we had rain. It wasn’t even heavy rain. It’s stopped now. But I was counting on earning some money in the open-air Friday Market, and the rain spoiled that, so it *does* feel like a disaster. Of course in the U.S. we have federal disaster funds, so some people want to report everything as a disaster. “A tree (which had been dead for years) fell onto someone’s roof! A sewer (which had needed cleaning for years) overflowed! We need federal disaster relief money!” +Bill Kasman is fortunate to live in a country that’s not formed such a self-destructive habit. We waste our funds and then don’t believe it when things like Hurricane Katrina, Mount St. Helens, or the Alaska earthquake really happen. We tend to think of contributions to the international disaster relief organizations like the Red Cross, ADRA, and similar as charity or foreign aid. Of course we never know where donations will actually be needed. In New York in 2001 people’s “charitable donations” were right there, so the city could take care of its own. I was glad. In 2016 those funds were available to Mexico. If re-sharing this post on Google + motivates people to support disaster relief efforts, all to the good! Thanks, Bill! Thank you for your very interesting comment, Priscilla. I’m a little surprised that Americans would view disaster funds this way, it is certainly not that way in Mexico. We also have a large federal fund reserved for natural disasters, but to be honest, it never seems to be enough. At least, it always runs out every year. I don’t think there’s enough money in the world for disaster relief efforts. 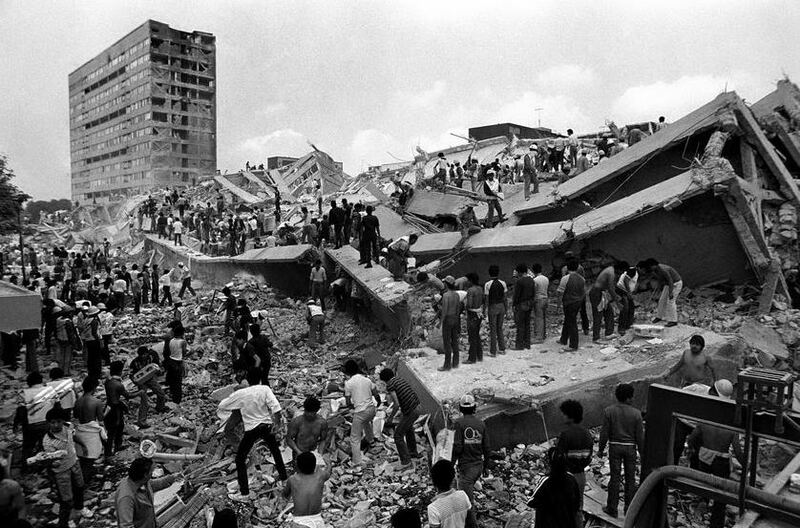 I knew that Mexico had seen many disasters over the decades, but I had never seen them documented in one place before. My wife and I are Canadian, but currently living in Queretaro for a year. We have noticed that many people from Mexico City are relocating to Queretaro, and concern over earthquakes is one of the reasons. Enjoyed your blog! True, I’ve noticed many people are moving away from Mexico City to nearby places like Queretaro, Puebla, and Pachuca, especially after last September’s earthquakes. Glad you enjoyed the post!